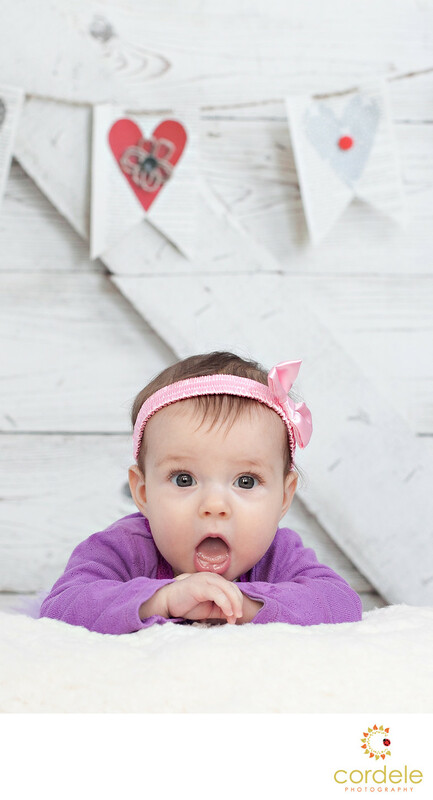 A cute portrait photo on valentines day of a baby in purple. This set was one of our most popular portrait mini shoots that we did. This little lady was only 2 months old but she was happy to lay on her tummy and give us the best expressions she could! I am sure this photo will be treasured forever by the family.